Aphids are soft-bodied insects that use their piercing sucking mouth-parts to feed on plant sap. 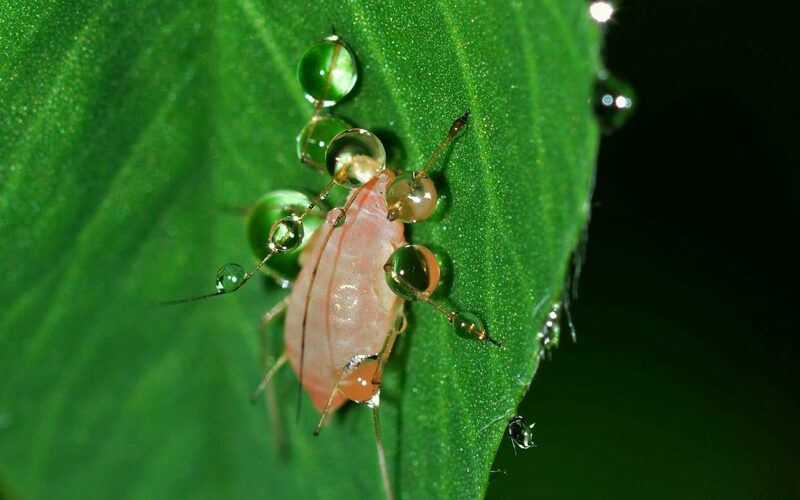 As they feed, aphids secrete large amounts of a sticky fluid known as honeydew. This sweet syrup-like substance drips onto plants, attracting ants and promoting a black sooty mold growth on leaves. Cars and lawn furniture that are under infested trees will also be covered with this sticky fluid. Leaves curled, wilted or yellowed. Decline in overall plant vigor. Honey dew excretion that makes the plant sticky. Black mold growth on honeydew. Beneficial insects, such as ladybugs and lacewing that are natural aphid predators. Prevention of over watering or over fertilizing – aphids like plants with high nitrogen levels and soft new growth. Systemic and topical insecticides can be used to treat aphid infestations. Insecticidal soap sprays are also a “green” option for aphid control.